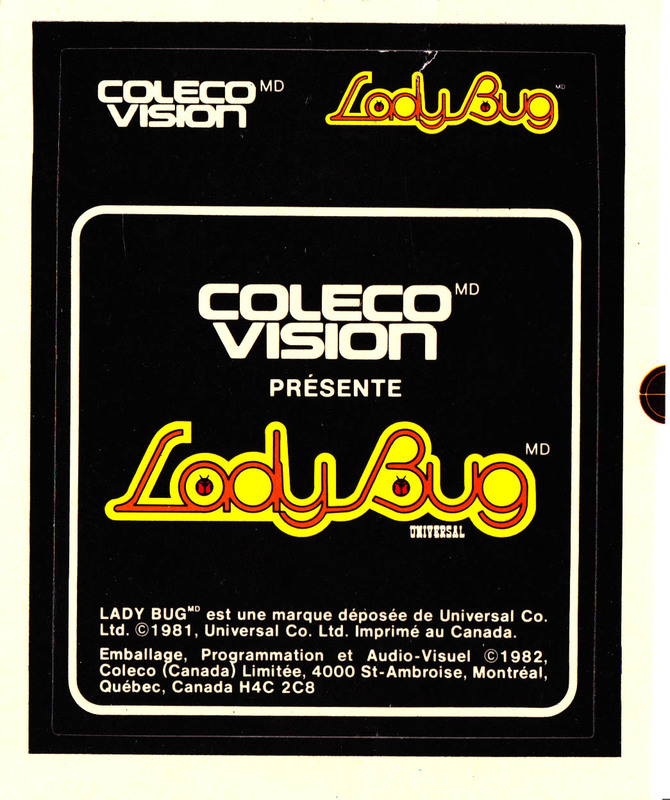 Imported by Coleco (Canada) 4000 St-Ambroise, Montréal, Québec H4C 2C8. 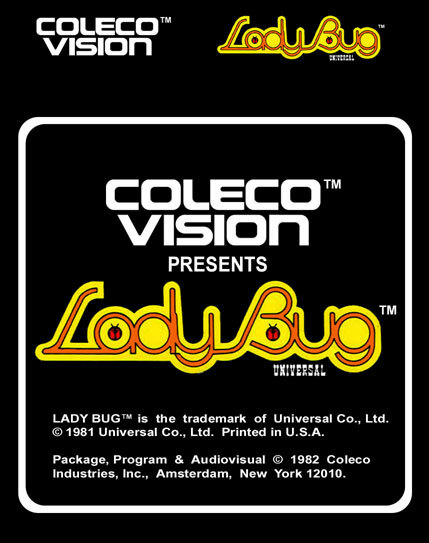 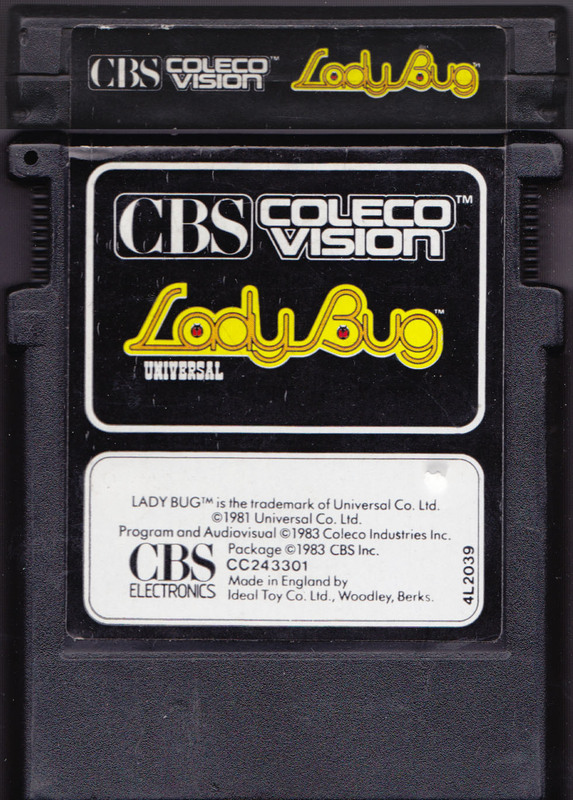 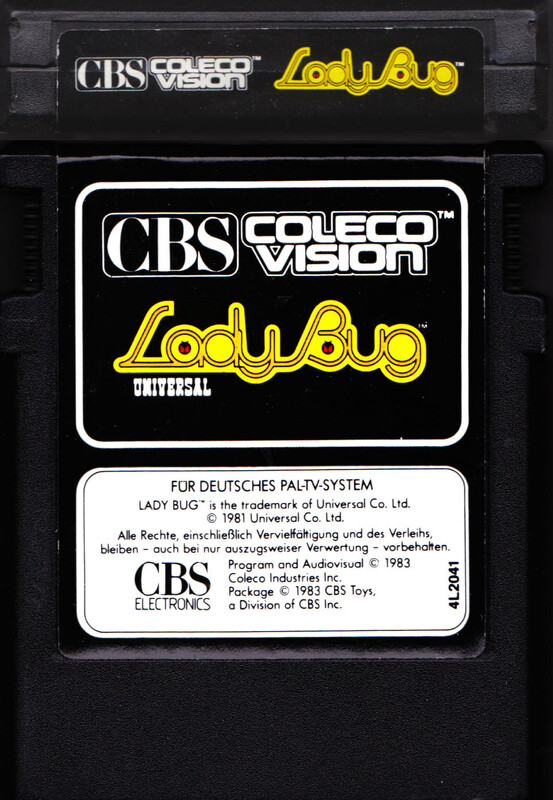 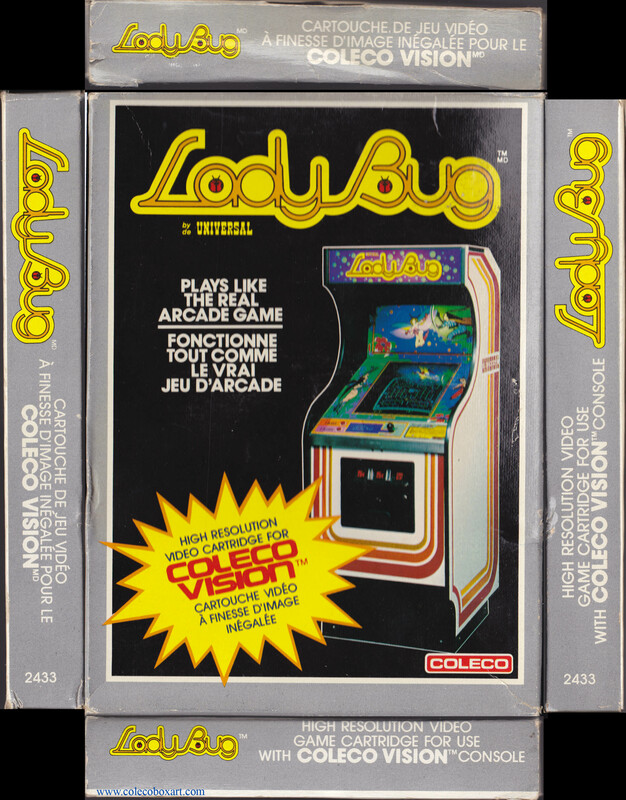 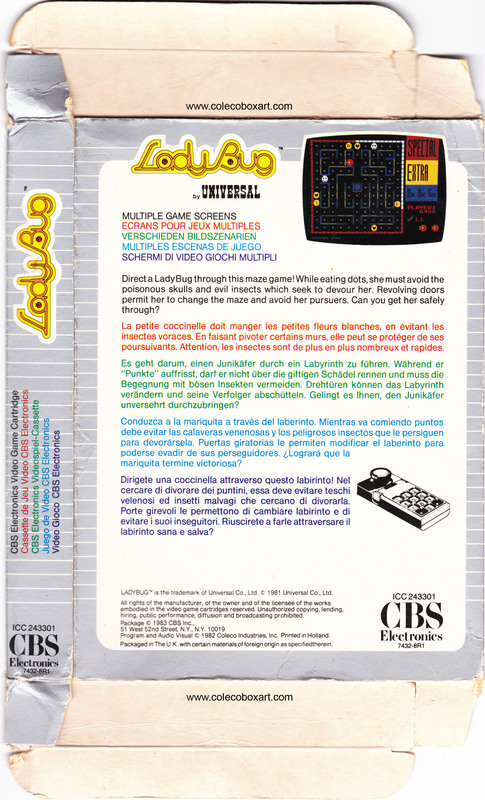 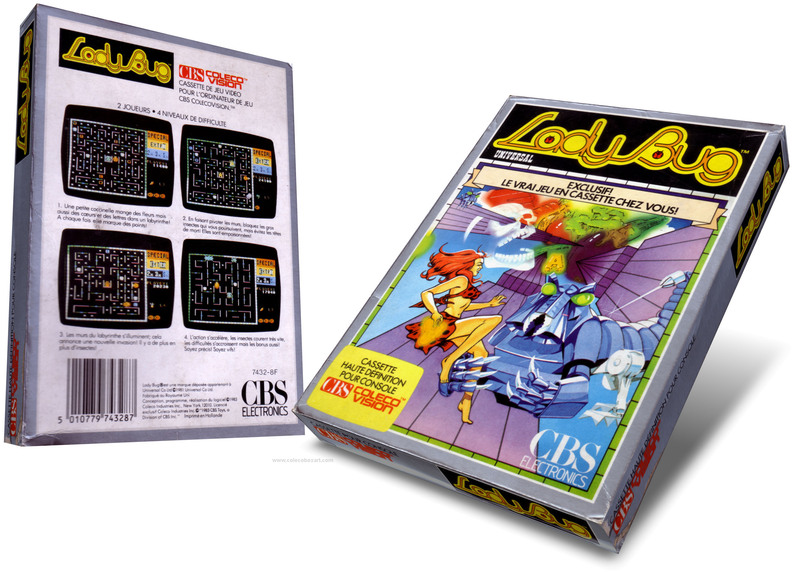 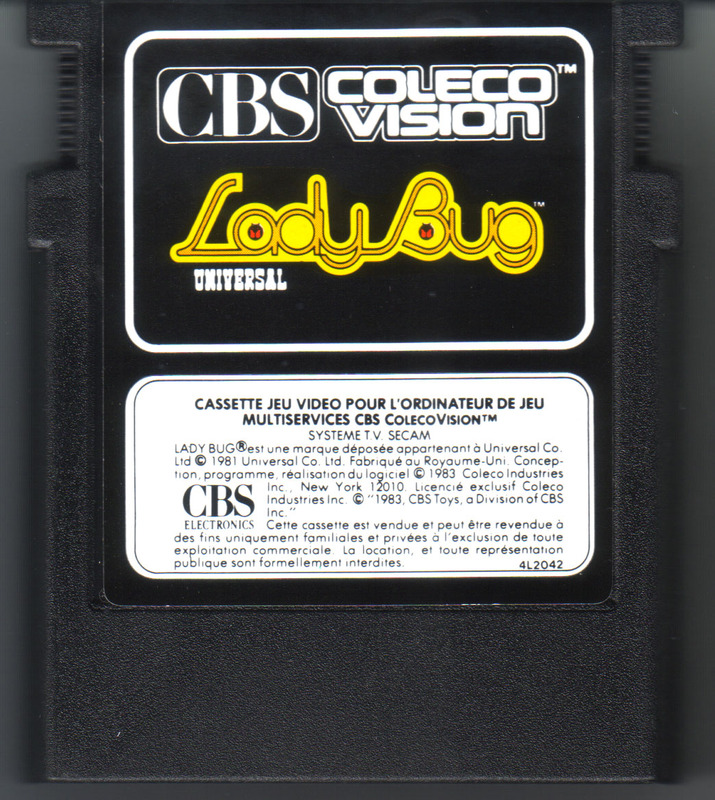 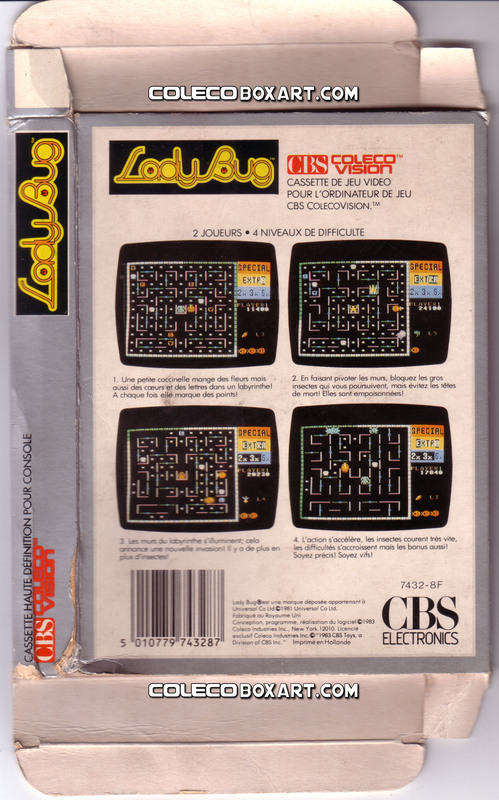 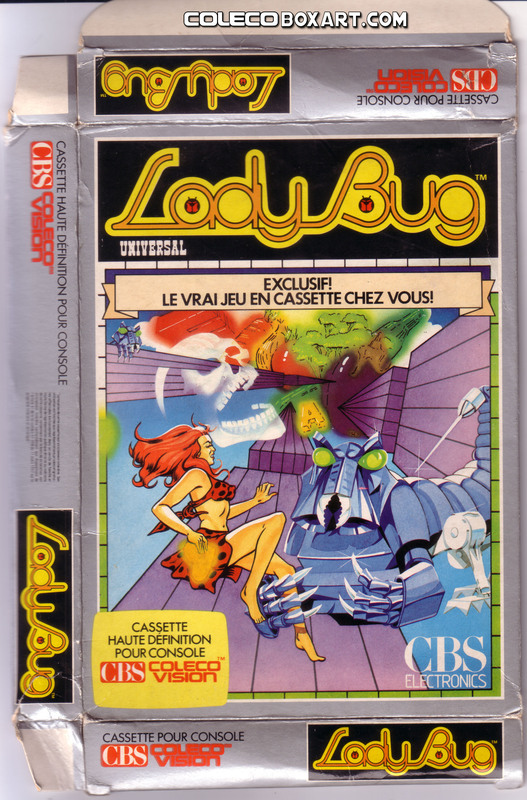 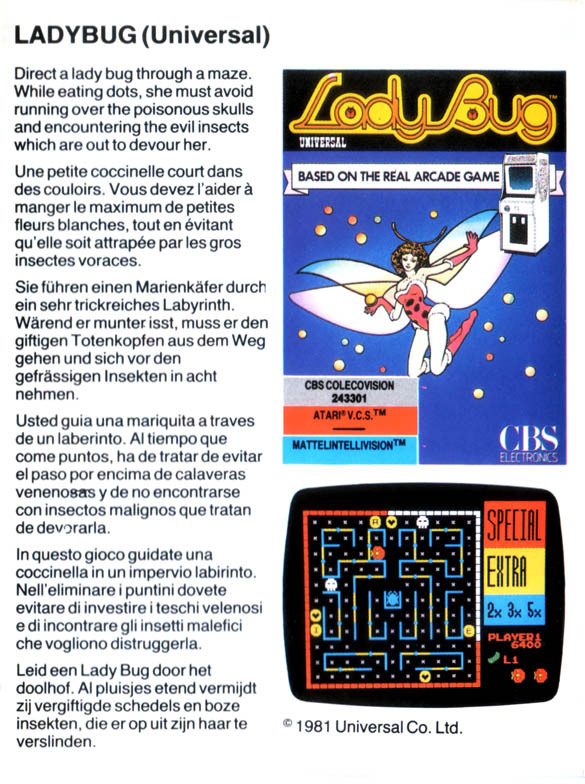 LADYBUG™ is the trademark of Universal Co., Ltd.
© 1981 Universal Co., Ltd.
Based on the exciting Universal arcade game, ColecoVision LADY BUG features a fast-paced adventure. 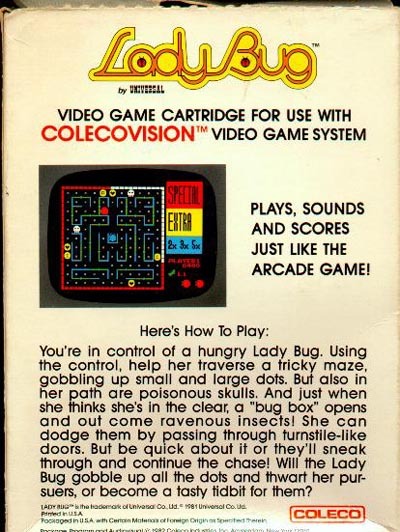 Use strategy to steer your Lady Bug through a maze, dodging hungry predatory insects. 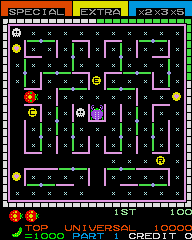 Use turnstiles to change the maze and block their pursuit! 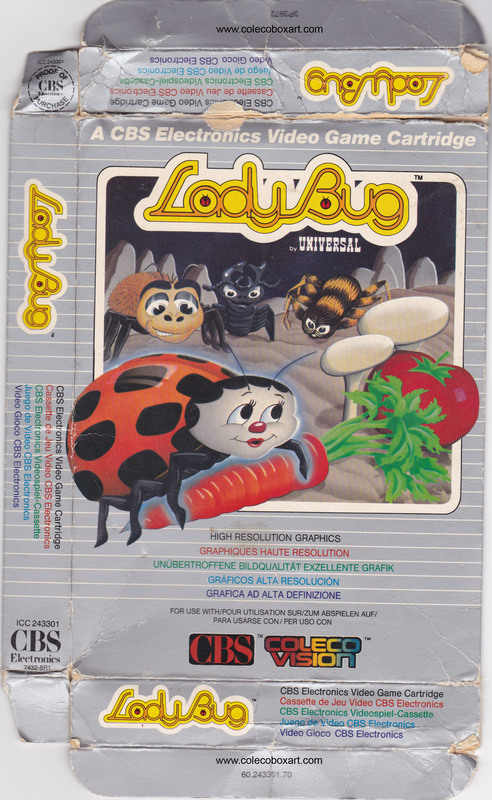 Lady Bug gathers points and bonuses by eating dots, hearts and vegetables and by spelling words. 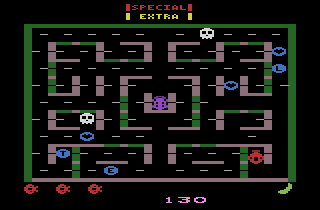 But avoid the deadly skulls! 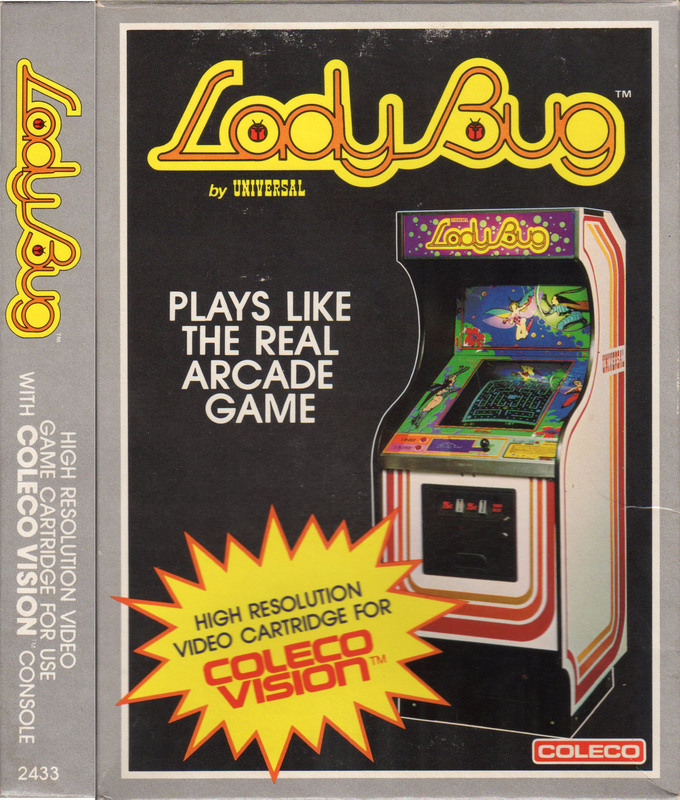 How many points can you rack up before moving on to faster action? 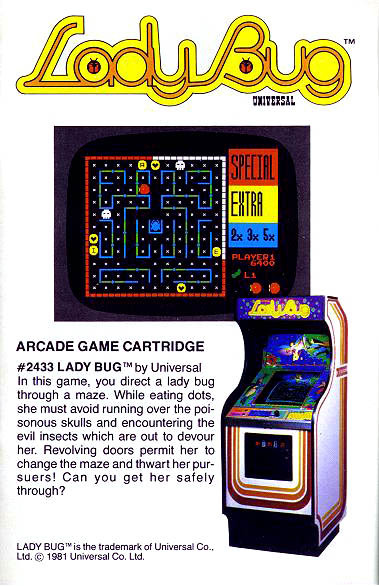 Port of Universal’s arcade game released during October 1981. 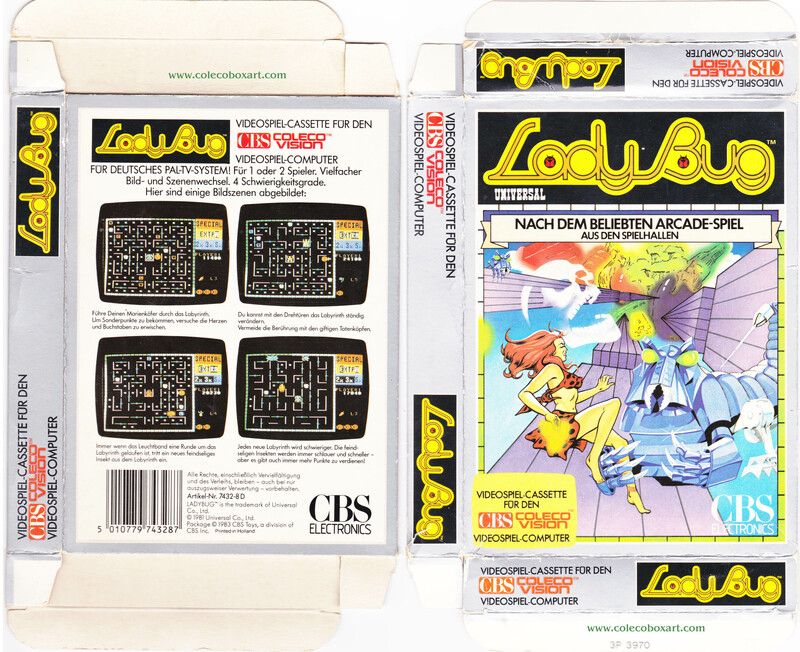 The gameplay of Lady Bug was inspired by Pac-Man but with several additions to the formula, such as the ability to alter the layout of the maze through gate-shifting. 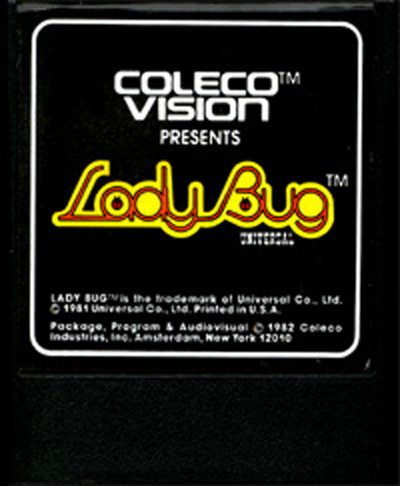 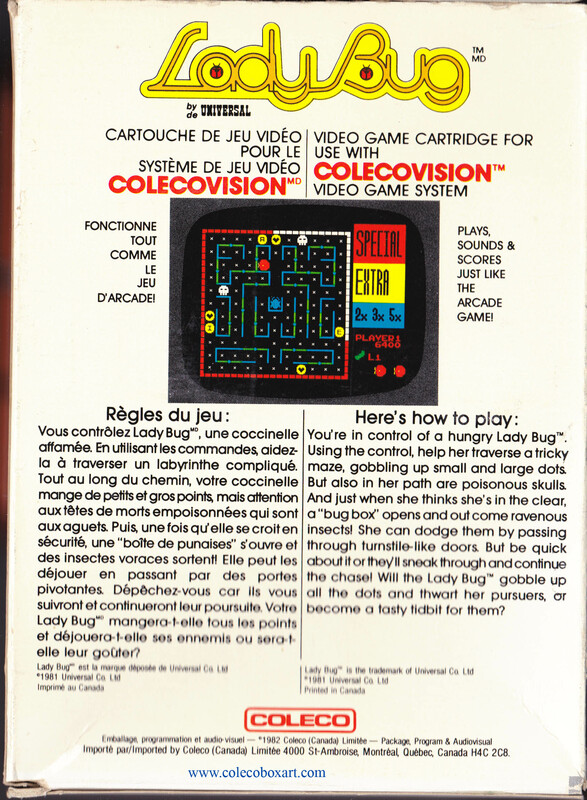 Lady Bug is part of the list of games available at the launch of the ColecoVision.